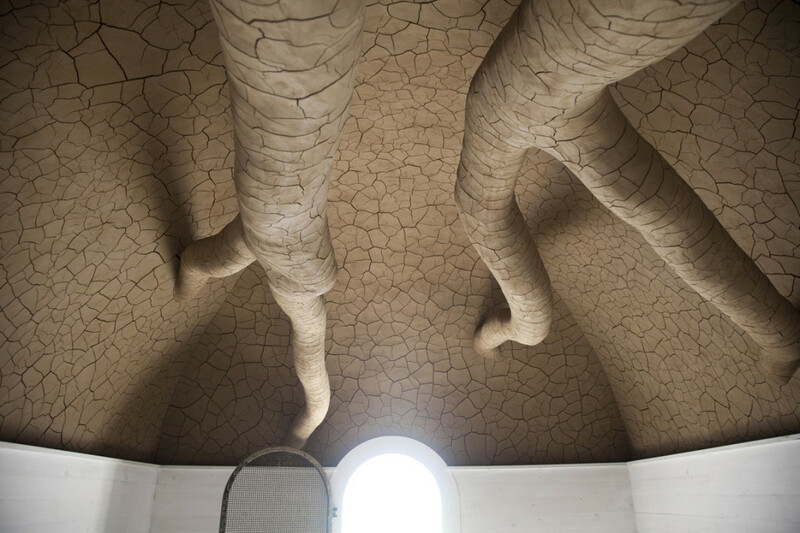 Here is a good excuse to get to the Presidio, one of San Francisco’s treasures, this September to enjoy the beautiful weather: Tree Fall by artist Andy Goldsworthy. 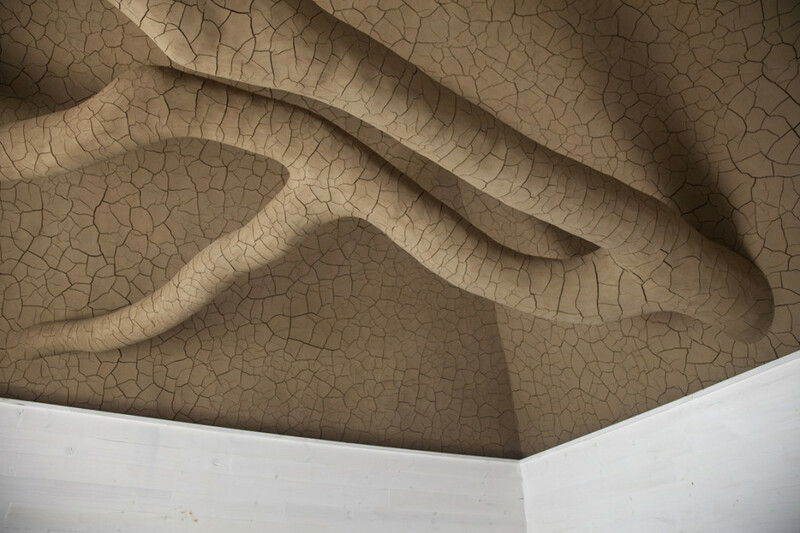 This site-specific work combines materials found on the surrounding land (a felled-eucalyptus tree and clay) in a former munitions depot. 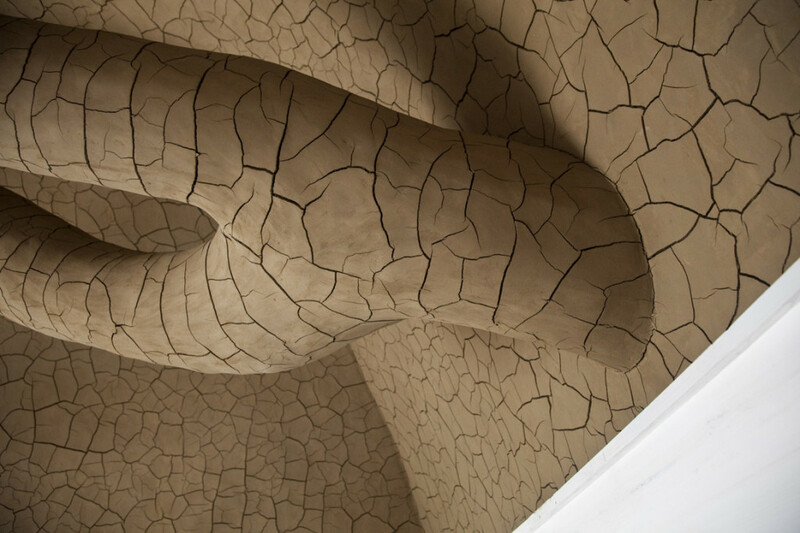 This installation evokes senses of sight, smell, touch…the feeling of the material is present in the space. This installation reminds me of the sensations I experienced in the Stave churches in Norway, which are dark and smell richly of tar. Tree Fall envelops the senses, making this is worth a city day-trip. And if you are feeling active, go visit Spire and Wood Line, also in the Presidio. 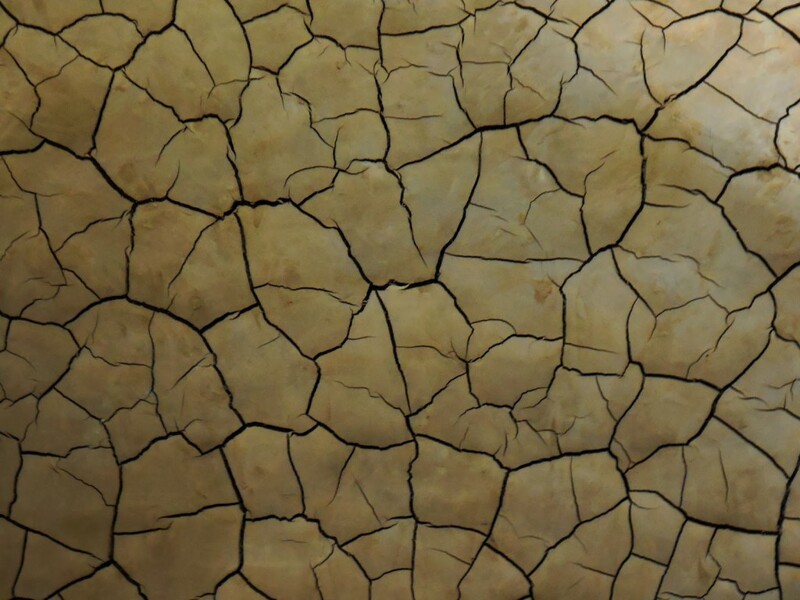 Detail of the drying clay. 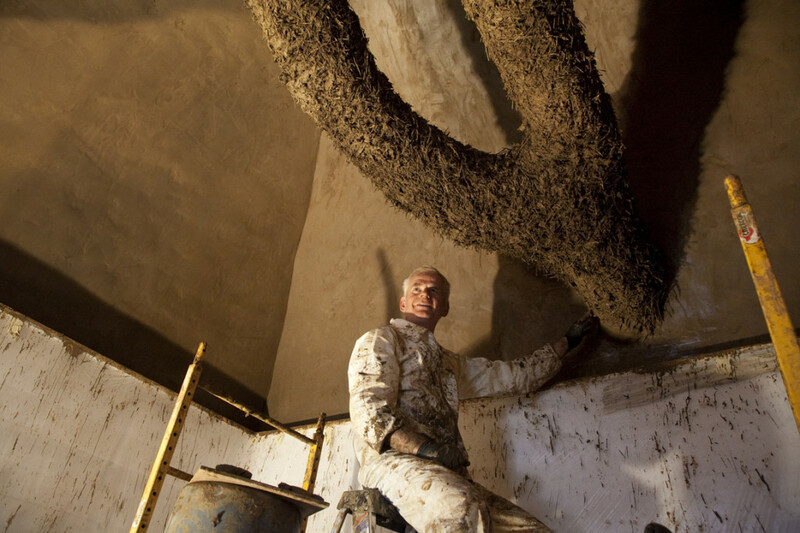 Andy Goldsworthy at work on Tree Fall.